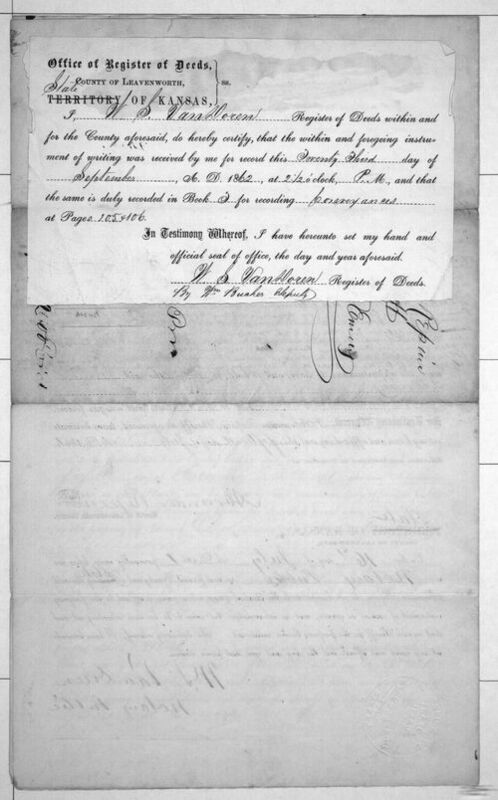 This document settles a court case from the Second District Court of the Territory of Kansas, decided in November, 1860. James S. Emery was successful in getting a judgment against the Delaware Town Company of Lawrence, Kansas Territory, which resulted in his acquiring property in Leavenworth County. Repine was the sheriff of Leavenworth County when the land was conveyed to Emery.